Heavy-Duty Double Rail Apparel Racks are great for a wide variety of clothing! 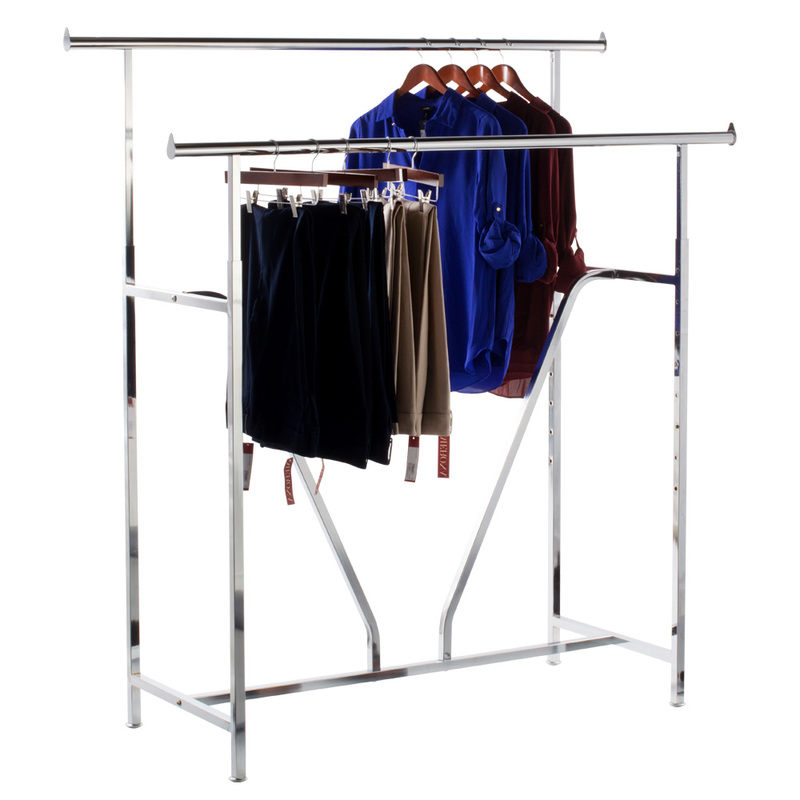 The Double Bar Clothing Rack features a V brace to keep the rack stable and strong. 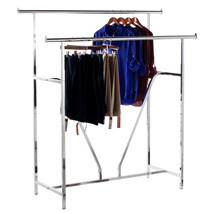 This retail clothing rack features height-adjustable hang rails that can adjust from 48 in to 72 in. high. Adjustable levelers included. Set of 2 - #2477 Extender Rails attaches 2 racks together making it 60 in long. #2474 Wire Topper provides you extra selling space. #2476 Extra Hangrail doubles hanging capacity - 22 in. W x 3 in. D x 54 1/2 in. H.
Add casters, (#1030/set of 4) for added mobility. For additional offerings, we ask you to take the time to look through our whole array of retail clothing racks for sale at Specialty Store Services now.